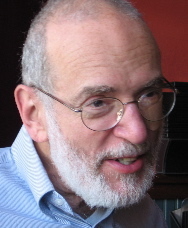 Dr. Garland retired from MIT in 2005 with over forty years of experience using and teaching composition and abstraction as the basis for designing, implementing, and understanding software. He also consulted and testified for numerous legal actions involving computer-related copyrights, patents, trade secrets, and contracts. Since retiring, Dr. Garland has been one of three principals in a startup that produced FormulaForge, an add-in for Microsoft Excel that provides multiple views for creating, analyzing. editing, and using mathematical formulas. He is currently offering pro-bono computing workshops for K-8 students and educators, as well as maintaining a website with the aim of Promoting Computer Literacy in Children.